There’s no question about it, beach days are the best days. And whether you’re the type who loves to take a dip into the waves or the kind who’d prefer to dive deep into the pages of a book, having the right outfit for your seaside days will make it that much better. That being said, lazy days out in the sun shouldn’t require too much outfit planning, which is why we created a beach capsule wardrobe just for you. 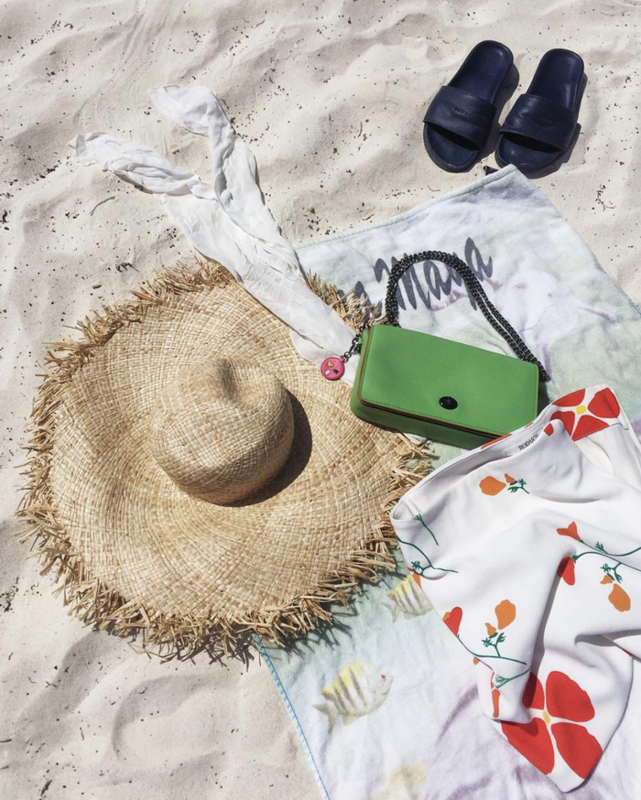 Don’t get us wrong, as we love a good beach outfit worthy of an Instagram, but for the moments when you’d rather just pack up your tote bag and head toward the water, we’ve got you. We’re keeping it simple this summer. From chic swimsuits to wear over and over to classic straw hats to keep you cool, along with a few necessities in between, this capsule wardrobe will guarantee a chic, put-together look ready for any beach activities. A flowing cover-up will be perfect for the hottest of beach days. A shirtdress makes for the perfect beach cover-up. Throw this over your swimsuit and you’ll have a full look for those post-beach margaritas. Channel your inner ballerina at the beach. This bikini is so flattering. So many trends in one bikini. Wear this as a relaxed cover-up. The cutest crop top for all your summer needs. These shorts will go with anything you wear. You’ll never get tired of these shorts. Everyone needs a straw hat for the beach. These will be the coolest pair of sunglasses you own. Get on that seashell trend. Wear these to the beach and everywhere else. The chicest tote for all your beach needs. Wear this purse to the beach and to drinks after. With these pieces, your beach style is guaranteed to turn some heads.